You don’t need to spend more to get bigger diamonds or more impressive jewellery, you just need to know a few tricks of the trade. As Valentine’s Day approaches, many hopeless romantics seize the opportunity to shower the object of their affections with shiny tokens of love – sending the sale of diamond rings and jewellery soaring by nearly a third in the run-up to February 14. But getting the most sparkle for your buck can be a bewildering task for a novice: Which shape, what colour, how much? So Yahoo! Finance spoke to diamond expert Vashi Dominguez to find out how to pick a diamond in the rough and get the most sparkle for your money. 1. Choose a diamond that is slightly less than 1/2ct or 1ct, for example 0.45ct or 0.95ct, says Dominguez. The difference in size isn’t noticeable, and could save you up to 30% off the price. 2. 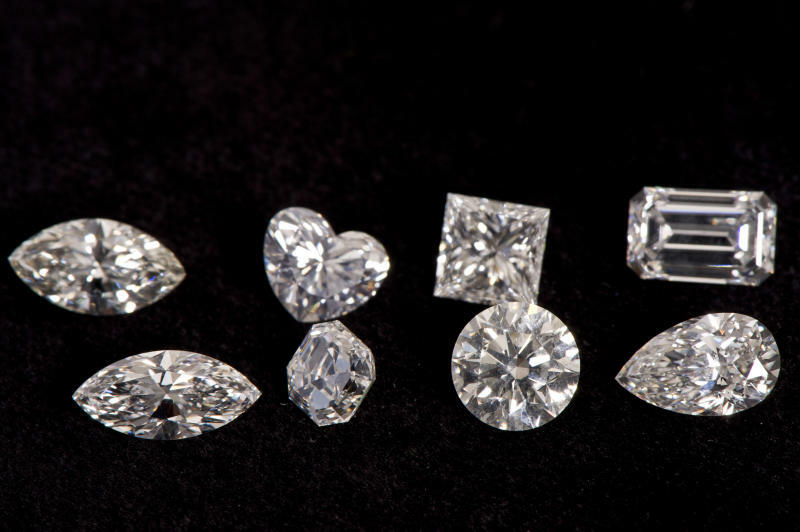 Colourless diamonds (D colour) are more expensive than a stone that is nearly colourless (G colour). Yet the difference isn’t visible to the untrained eye once the gem is set in a ring or piece of jewellery. 3. Similarly, you can save by opting for SI1 clarity rather than VS1. 4. Don’t dismiss stones with imperfections or inclusions, unless looked at under a microscope, imperfections often can’t be seen, but can lead to a substantial slice off a price tag. 5. Buying your diamond online can shave up to 80% off the cost. Compare different retailers to get the best deal possible. 6. White gold is a cheaper alternative to platinum but looks very similar. 7. You can use an illusion mount, a mirror-like plate, to create the impression of a bigger stone. However, these can be more difficult and costly to repair. 8. A bezel setting, when the stone is circled by the metal of the ring, also boosts size appearance. And this setting also means cheaper stones with minor defects on the edges can be used. 9. Set a ring with side stones, a trick to make a ring look more impressive and create a larger impact on the recipient. 10. Though elongated shapes don’t have as much brilliance and sparkle as round diamonds, a pear shaped stone often looks bigger than the equivalent carats in round or square stone.